← slowly, slowly catchee monkey……. I often gaze at her and wonder how she came about. Such enormous ears and silky hair. Such a very bright pink nose. I would love to know her parentage. She could have Podengo in her I think. She resembles a Podengo Pequino (the smallest of the three standards) but they have long wiry hair and are considerably smaller than Isis. She is about the size of a Medio Podengo, the next one up but their hair is short and wiry. Perhaps she has some sheepdog in her. Though her coat is softer than a sheepdog’s, almost the same in texture as a Pyrenean’s. 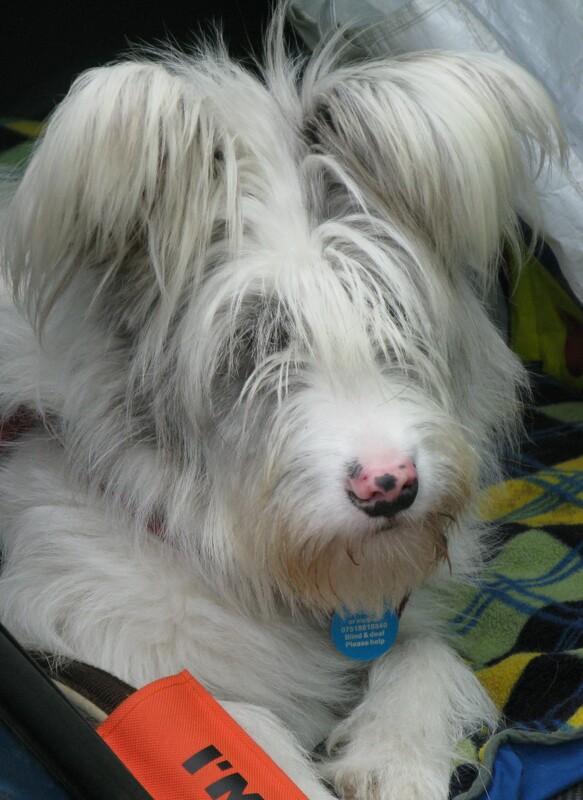 This entry was posted in deaf/blind dog and tagged deaf/blind dog's origins?. Bookmark the permalink. 2 Responses to what is she? This is a Podengo and is definitely a relative! Thanks Kerry. That explains a lot!